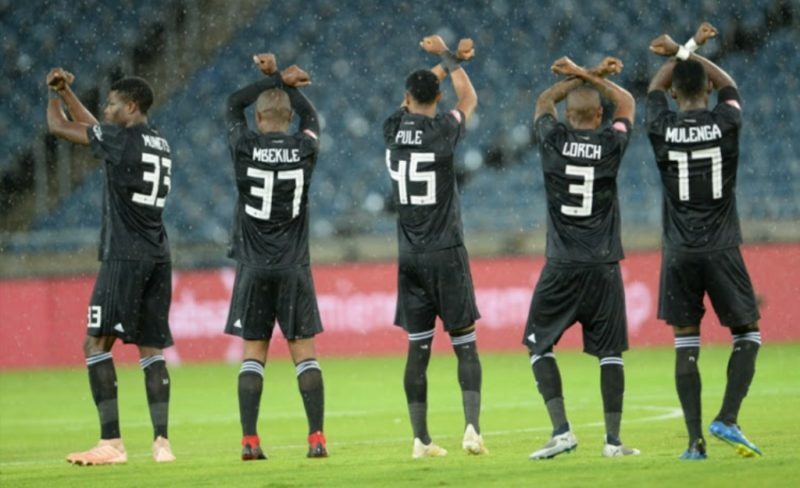 Kaizer Chiefs’ winless run against Orlando Pirates stretched to 12 matches spanning 1,496 days when they surrendered the lead in an often cagey 1-1 Soweto derby draw Saturday. A quick pass down the middle found Thembinkosi Lorch and he rounded Chiefs’ debutant goalkeeper Daniel Akpeyi from Nigeria to equalise from a tight angle. Chiefs’ German coach Ernst Middendorp was angry after the derby as he felt the four-time Premiership champions should have secured maximum points. “After going ahead, we had chances to double the lead but failed to take them and were eventually punished,” he said. “We deserved to win this match by at least one goal, possibly two. I fielded a largely young side against opponents competing in the CAF Champions League and they did very well. Pirates’ Serb coach Milutin Sredojevic gave a terse “no comment” when asked about the foul that led to the spot-kick Cardoso planted in the corner of the net on 53 minutes. There appeared to be minimal contact between Chiefs’ star Zimbabwe striker Khama Billiat and Asavela Mbekile before the attacker fell to the ground as if poleaxed. “It was a ‘chess’ match in which we started sluggishly and gradually improved,” said the coach who joined Pirates after being in charge of Uganda.